Economist Dan Friedman's new book focuses on the interplay of morals and markets. Photo by Jim MacKenzie. Tempting as it is to demonize greedy Wall Street bankers for the nation's economic ills, the real cause is far more insidious than a handful of selfish individuals--and may prove resistant to the Obama administration's latest proposed reforms, says economist Daniel Friedman, author of the new book Morals and Markets. The president's plans to deal with the banking industry's toxic assets and to prevent future failures are "steps in the right direction," but Obama must act more decisively than he has to date by nationalizing Citibank, AIG, "and probably several others," said Friedman, a professor of economics at the University of California, Santa Cruz. His book, Morals and Markets, showcases the interplay of markets and morals. "Credible insurance and swift bankruptcy proceedings are far superior to a web of legal prohibitions," emphasized Friedman. The internal dynamics of the financial system guarantee that conservative bankers will be passed by in favor of those who employ aggressive tactics that make more money, said Friedman. "It's a systemic issue," he added. "Bernard Madoff is just a bad guy. He didn't create the problem." Failures of the political and regulatory systems allowed excesses to go unchecked, according to Friedman. "Regulators set the rules of the game, and you want rules that steer ambition toward productive activities," said Friedman. "What we've seen on Wall Street in the last few years was ambition steered toward destructive risk-taking. Those who tried to behave more honorably were sidelined." It was the job of regulators, and Congress, to ask whether the system was creating an undue amount of risk, said Friedman. Since the mid-1990s, an ideologically driven "hands off" attitude toward regulation allowed the system to get dangerously out of balance. "It's not that Wall Street bankers were greedier than their predecessors--there's never been a shortage of greed out there," said Friedman. "Market imperatives undermined any moral restraint that might have come from regulators." Complicated by "layers of plausible deniability" that insulated decision makers from the consequences of their actions, the system failed because of a lack of accountability, according to Friedman: "Why did rating agencies give AAA ratings to garbage? Because everybody was making money, and everybody thought it was someone else's problem." Reinvigorating the role of morality in the market system is overdue, but even that is complicated, notes Friedman, citing the "conflicting moral calls" regarding the U.S. auto industry. "Some say we have to help the auto workers, while others say it would be immoral for the government to get involved in bailing out these companies," he said. "It's a delicate balance." Bailing out U.S. auto companies could create "feeble financial giants that roam the earth for years," added Friedman, who favors a form of bankruptcy-type proceedings that would allow investors to move forward with confidence. The interplay of morals and markets is like a troubled marriage, according to Friedman. "There's friction, and sometimes the players work at cross-purposes," he said. "But I'm optimistic that this marriage can be saved." With its sweeping scope, Morals and Markets traces the evolution of markets and presents global examples of the interaction of morals and markets. "What's good for the individual isn't always what's good for the group, and vice versa," said Friedman. "Too much morality can be destructive, as in Japan, where social deference inhibited the recognition of failure and has had devastating economic consequences since 1990. Unable to come to terms with poor-performing banks in the early 1990s when Japan's economic bubble burst, state regulators propped up ailing banks and created "zombie companies" that dragged down the Japanese economy for more than a decade. By contrast, Russia in the 1990s "was the sort of place that gives anarchy a bad name," writes Friedman, who attributes the former superpower's economic crash to an inadequate moral infrastructure that fueled the black market and Russia's "transition to kleptocracy." An ambitious yet accessibly written book that draws from multiple disciplines, Morals and Markets identifies morality as the trait that sets humans apart from all other species. Friedman's research spanned the fields of anthropology, biology, history, and psychology, as well as economics. "A moral system is the shared understanding of what's proper, and the evolution of our moral system is concurrent with the origins of humanity," said Friedman. "What makes us human is a moral system. It's what lets us succeed. Our minds are really attuned to it, so that when there's a screw-up, we want to know who broke the rules." Just as he resists the temptation to scapegoat actors in the current crisis, Friedman takes a holistic approach in the book, which he cautioned might frustrate some readers. "There are things to annoy ideologues of every political stripe," he said. The scope of the book made it "a lot of fun to put together," said Friedman. " I've wanted to write this book for 10 years. I've always been an interdisciplinary kind of person, and UCSC was a wonderful place to do this." 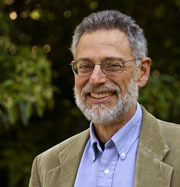 Note to journalists: Dan Friedman may be reached at dan@ucsc.edu or (831) 459-4981. To request a review copy of Morals and Markets, send e-mail to alaina.kunin@palgrave-usa.com.